The North American Guqin Association (NAGA) presented a multi-disciplinary stage performance “Music of Confucius - Chinese Cultural Heritage Guqin Concert” on June 21, 2009 at the Milpitas Community Center. This exciting production featured various programs integrating guqin music with poetry recitation, dance, martial arts, Chinese Choengsam show and natural object music. The concert was NAGA’s largest production of the year, which involved over 50 performers and production staffs. It featured many famous artists and combined resources of several organizations and performance groups. The 300-seat venue was filled to its capacity. The audience also had a rare chance to listen to qin music played on an antique qin from the late Song Dynasty (approximately 900 years ago). Our show is featured in several media. Please check out the online version of those news coverage. Classic guqin pieces were performed by Wang Fei in collaboration with artists who were also Zhi Yin of guqin music. The audience was transported back to the age of sages – when qin music and poetry were an integral part of a scholar’s education - through narration and recitation by Diana Ding and Victor Saberi in “Three Variations on the Plum Blossom” and “Three Variations on the Yang Pass”. “The Solitary Orchid” - a qin piece notated in the oldest surviving qin score - was accompanied by natural object musician Cheryl Leonard, whose playing evoked the sound of nature and antiquity. The audience was invited to close their eyes and imagine going back in time and meet Confucius though Youlan. “Drunken Ecstasy” was performed by martial artist Wang Quan with impressive martial arts movement incorporated into the qin music. In the closing number “Flowing Water”, Wang Fei and natural object musician Cheryl Leonard conjured the experience of listening to the guqin on a high mountain or by a flowing stream - places of natural beauty where the guqin is played – a scene that is often depicted in Chinese poetry and paintings. The music was combined with refined dancing by Xiaopei He Gelb, and the long fabrics of her costume flowing gracefully in the air – which echoed the movement of flowing water – captivated both the audience and their imagination. Students from the NAGA 2009 guqin and poetry class also performed several qin pieces. Most of them started out as total beginners only 3-6 months ago. One student was in her 60s and some students were non-Chinese speakers, but they were able to sing and play ancient Chinese poetry after a short period of training. It was very encouraging to see the students perform so confidently, which proved that guqin is a very effective tool for learning Chinese culture. VIP guests who attended include: Paul Fong, California Assembly Member; Sun Jianhua, Cultural Consul of the Chinese Consulate; Shao Wei, Education Consul of the Chinese Consulate; Dr. Sanford Tom, North American Guqin Association Board Director; Professor Lindy Mark; Jose Esteves, Former Mayor of Milpitas; Kansen Chu & Daysi Chu, City of San Jose Council Member; Heidi Pham, Community Volunteer and Santa Clara County Employee; Craig Donnelly, District Office Director for Betty Yee - member of Board of Equalization; Aileen Kao, Former Saratoga Mayor; Sally Wu, Vice-Chair of Asian Americans for Community Involvement; Susie Nagpal, City of Saratoga Council Member;; Forrest Williams, Santa Clara County Commissioner and Candidate for Santa Clara County Board of Supervisors; David Quach, General Manager of Milpitas Ocean Supermarket; Mr. Thanh, Owner of New Tung Kee Restaurant. This concert is co-presented by US Chinese Women Cultural Organization and sponsored by City of Milpitas, Alliance for California Traditional Art, Silicon Valley Community Foundation and Arts Council Silicon Valley, beijingers.com,chineseculture.net, world channel TV, bayareadragon.com,99people.com,and Shanghai Association of N. California. Special thanks to: Renee Lorentzen, Lily Kharrazi, Jenifer Kane, Audrey Wong, Sherwood Chen, Zhirong Wang, Peter Wu, Zhao Yan, Heidi Pham. 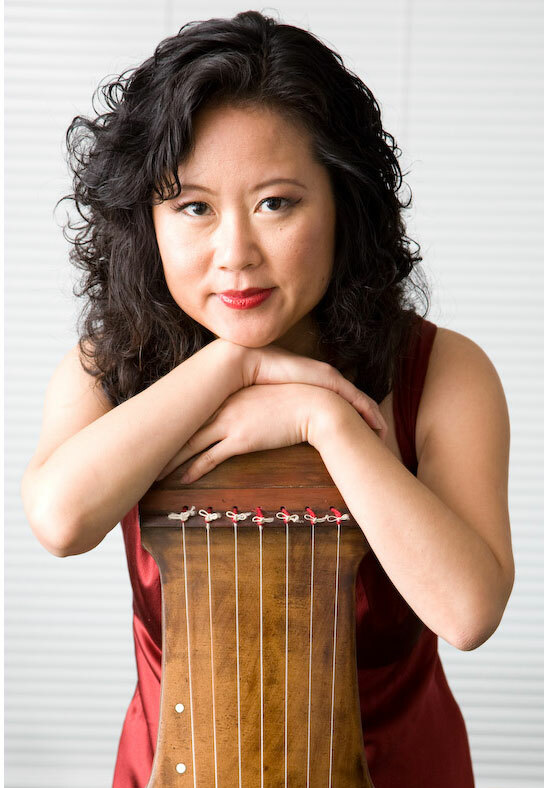 Guest Artist Diana Ding is an award-winning and innovative Program Director, radio and television personality. Diana is very active in the community and usually spends her weekends hosting large local events. 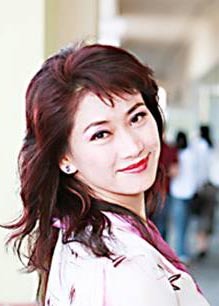 For more information about Diana, please visit her web site www.dianading.com. Guest Artist Cheryl Leonard is a composer, performer, improviser and instrument builder. 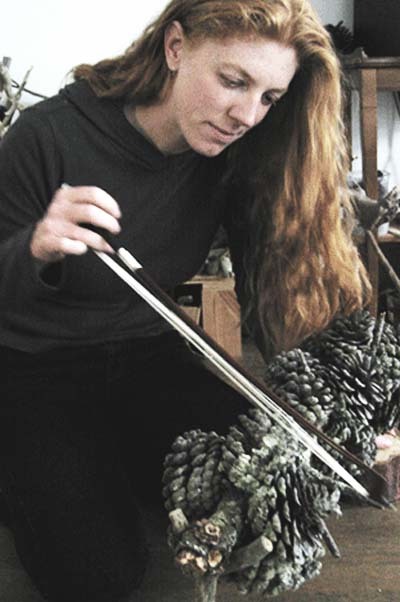 Over the last several years she has focused on creating music and instruments with found natural materials. Many of Leonard's works explore subtle textures and intricacies of sounds not generally considered musical. For more information about Cheryl Leonard, please visit her web site http://www.allwaysnorth.com. The guqin, a seven-stringed zither, is China's oldest stringed instrument, with a documented history of about 3,000 years. It became part of a tradition cultivated by Chinese scholars and literati and has been associated with philosophers, sages, and emperors since the time of Confucius. Perhaps because of this illustrious history, the guqin came to be viewed as one of the "Four Evils" and was the only traditional Chinese musical instrument to be banned during the Cultural Revolution. As a result, the practice of playing the guqin and the instrument itself became endangered. More recently the guqin has enjoyed a return to favor with the government and was featured in the 2008 Beijing Olympics Opening Ceremony. It has also been used in some popular movies such as Zhang Yimou's "Hero". However, despite the resurgence of interest in the guqin, today few people can play it and the instrument is very rarely seen even in China. Not all international institutions shared the Chinese government's past disdain for the guqin and in 2003 UNESCO declared the art of the guqin a Masterpiece of the Oral and Intangible Heritage of Humanity. The North American Guqin Association (NAGA) is a nonprofit cultural arts organization dedicated to the public presentation and preservation of the art of the guqin, spreading community appreciation of Chinese culture through the traditional art of the guqin and building a bridge for cultural exchange and mutual understanding between the Chinese and American communities. © 1999-2009 North American Guqin Association, All Rights Reserved.